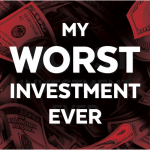 My Worst Investment Ever: I had a short-term market speculative position on the Thailand Futures Exchange (TFEX) using a SET50 Futures contract. One day, the market slid around 10% because of political unrest, and I was on the losing side of the equation. Today’s questions in Ask Ajarn Andrew: What is a yield curve? Today’s questions in Ask Ajarn Andrew: What is yield to maturity (YTM)? The news was shocking. It turns out her mother had only US$35,000 in her retirement account. An impossible amount to retire on. I learned that knowledge is not enough. Think of all the books about losing weight. The knowledge is there. 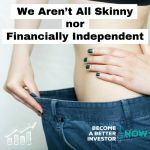 So are we all skinny? Today’s questions in Ask Ajarn Andrew: What is coupon rate? 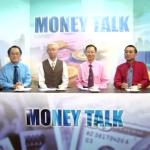 Money Talk@SET: Panel discussion with Dr. Paiboon, Ajarn Sanae, and Dr. Niwes at the Stock Exchange of Thailand. Discussing Thai politics and the stock market. Today’s questions in Ask Ajarn Andrew: How do you start investing in bonds? Where do you buy bonds? Today’s questions in Ask Ajarn Andrew: What are some reasons to invest in bonds? 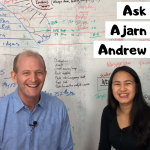 Today’s questions in Ask Ajarn Andrew: What is a bond? 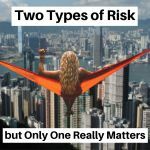 The risk that really matters when investing is the risk of not having enough wealth to meet your future goal, so-called shortfall risk. We must accept some level of volatility but too much volatility can be so painful it leads to bad decisions.